Scene of the Virgin, while ascending to haeven. 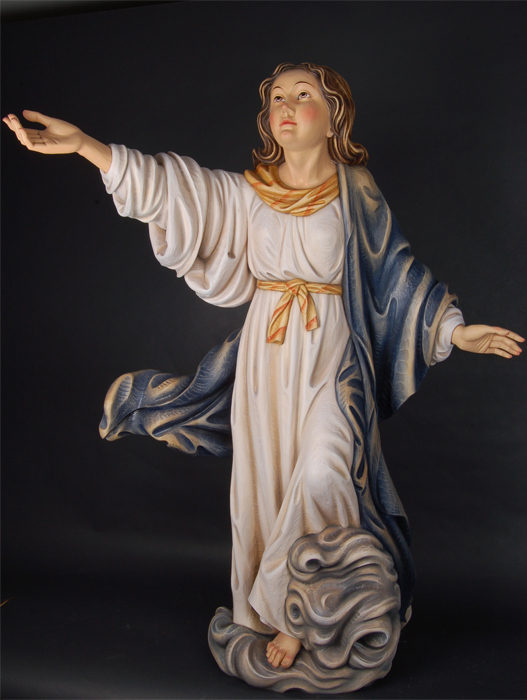 Statue representing the Virgin Mary on a cloud when going to haeven. The hight is 140 cm.